The ENCJ General Assembly which meets in Warsaw from 1-3 June in Warsaw welcomed two new Members on Wednesday 1st June. The Greek Supreme Judicial Council of the Civil and Penal Justice and the Greek Supreme Judicial Council of the Administrative Justice. This brings the number of ENCJ Members to 24 covering 20 EU Member States. Justice ministers from across Europe have given their backing to the Council of Europe’s new 2016-2021 action plan on strengthening judicial independence and impartiality. The Commission wants to help businesses overcome financial difficulties in case of bankruptcy, while at the same time maximising the value received by other parties concerned. An appropriate insolvency framework would be an essential element of a good business environment and would therefore in the Commission's view be important for jobs and growth. This consultation seeks stakeholders' views on key insolvency aspects. presented here. We try to answer three questions in particular. 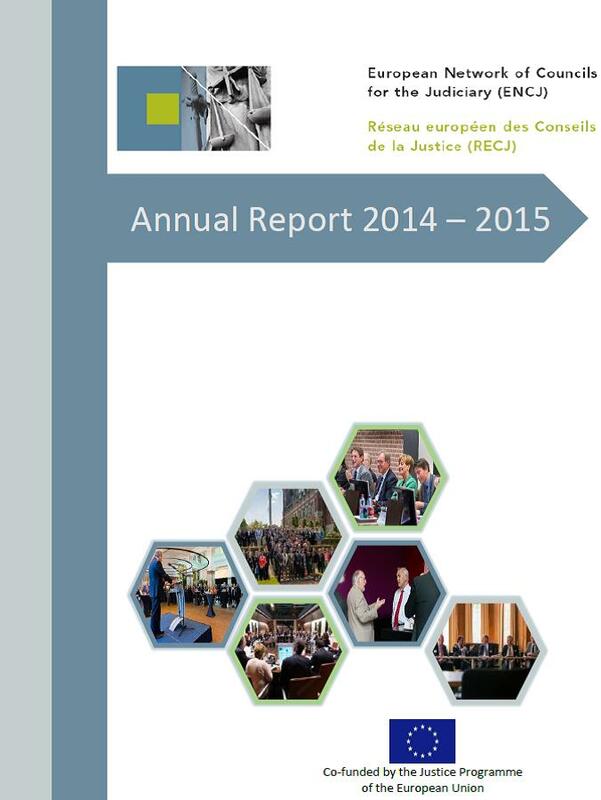 The ENCJ has published its first annual report. The report covers the period September 2014 to August 2015 and its main focus is on the developments in the judiciaries of the ENCJ Members. This guide is the result of several years’ work led by the European Expertise and Expert Institute (EEEI) with the support of the European Commission’s DG Justice. On 9-10 November 2015 ENCJ organised a regional Timeliness seminar in Bucharest for the Central and South Eastern countries. The seminar was the 3rd in a series of 4 seminars. Participants came from the Judicial Councils and authorities of Albania, Bulgaria, Czech Republic, Greece, Hungary, Montenegro, Romaina, Slovenia and Slovakia. The CEPEJ and the European Commission also attended and addressed the participants. The meeting was chaired by ENCJ coordinator Mr Niels Grubbe of Denmark and hosted by the Romanian CSM. 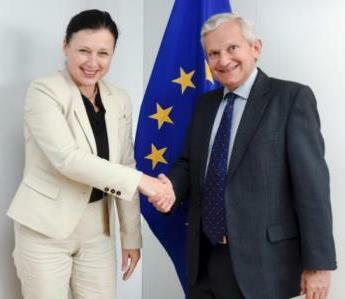 On 22nd September Mr Geoffrey Vos met with Mrs Jourova, the Commissioner for Justice Consumers and Gender Equality. The President reported on his meeting with the Commissioner, Mrs Jourova which took place on 22 September. One of the issues discussed was the quality of justice. We would like to announce to you the recent publication of our new Call for Proposals 2015 on "TRAINING OF NATIONAL JUDGES IN EU COMPETITION LAW AND JUDICIAL COOPERATION BETWEEN NATIONAL COMPETITION LAW JUDGES".